Good Morning all, i hope you are having a good week. Today im showing a batch of cards all made from the same paper pad, after using it for make my mums card for Mothering Sunday i thought it would be a good challenge for me to try and use up all the papers on different cards and in different ways. I actually enjoyed the challenge. Its a pad ive had years and loved so used it sparingly as us crafters do. 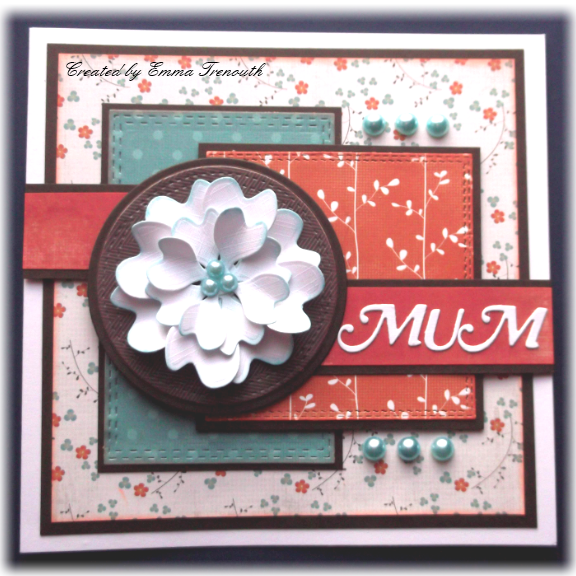 This first card i made for mum, 7x7 white cardbase. I die cut some of the papers with various stitched dies, all matted onto chocolate brown cardstock and layered up. I die cut the flower from white card so it would stand out against all the busy patterns, i edge it with blue and added blue pearls to the centre. Die cut mum from white too and then added blue pearls to finish. I then made a very similar one for the box just using different papers from the pad and orange pearls. Im not usually one for adding lots of busy patterns together but found using just bits of them that it wasn't too OTT. 6x6 Chocolate Brown basecard. 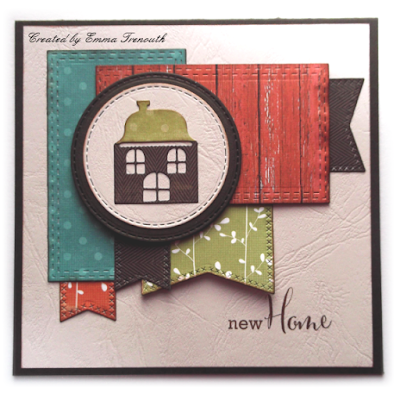 New home card. I die cut various stitched shapes from the papers and layered them up, this first takes a while playing with the shapes and placements until it works for me. I then stamped the greeting in brown ink onto beige faux leather effect card and mounted onto the card base. I then die cut my little house from 2 papers and stuck together. 6x5.5" Brown card base. I again cut some patterend papers and layered onto chocolate brown cardstock, added onto beige card stamped with the greeting. 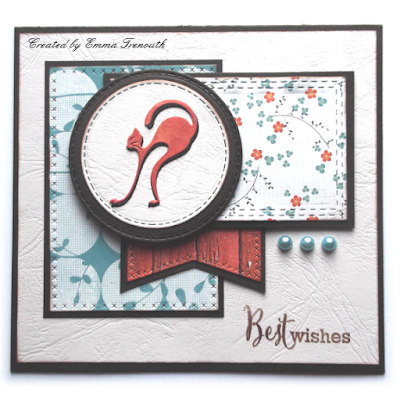 I die cut my cat twice, ones from orange and again brown papers and off set so he stands out more. Blue pearls to finish. 6x6" chocolate brown cardbase. I had lots of little bits of paper left, not big enough to do much with so cut them into tiny little flowers. I then die cut green leaves, a stitched rectangle which was left over too made a great flower planter! All layered onto wood grain paper that also comes from the pads. 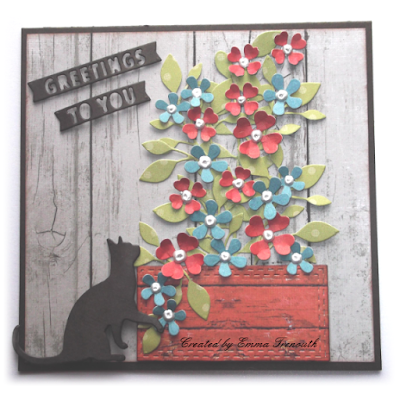 Die cut greeting and cat both in the brown. I added liquid pearls to the flower centres which dried weird with a dent in the middle but after contemplation i think it looks like little seed beads so have left it. 5x7" Brown base. Lots of papers die cut into various fishtail banners and layered up onto a beige floral pattern paper. Again it took a while to get an order which worked for me. Stamped greeting. 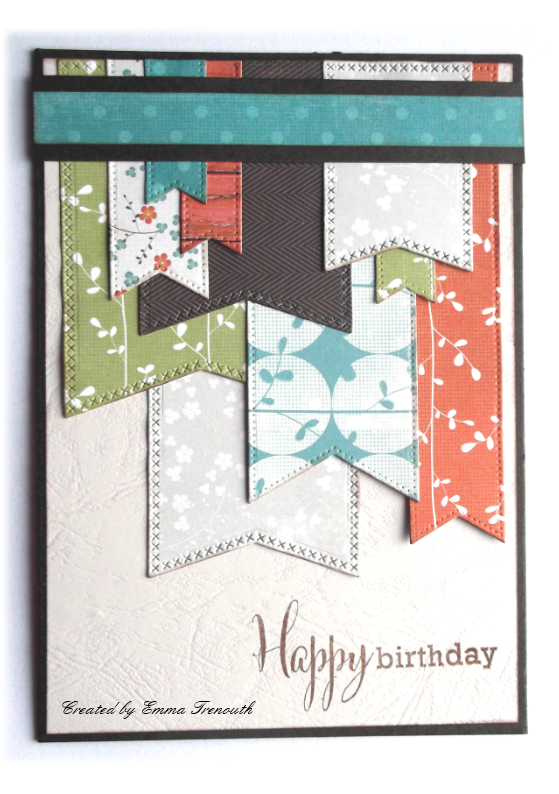 4x6" (A6) card, this one used all the left over banners from the first one. 4x6" (A6) card, i had lots of little strips of paper left so did a little weaving, layered onto woodgrain paper. 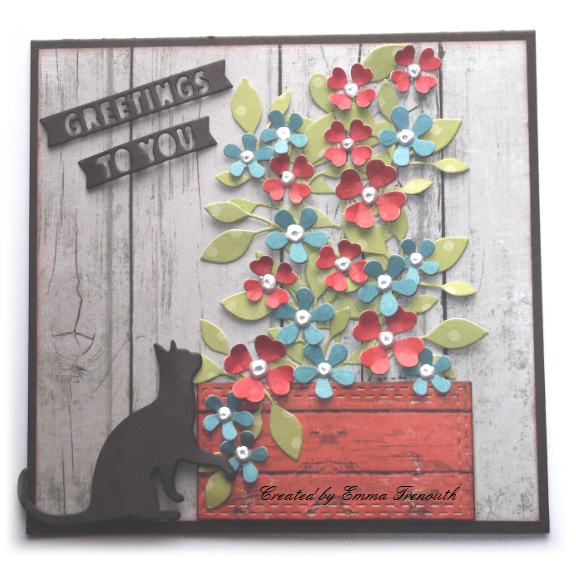 Die cut cat as before and stamped greeting. 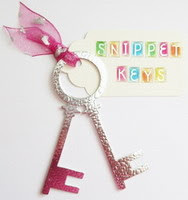 And last but not least a gift tag, all the little scraps i die cut into banners, as most weren't long enough for the whole length of the die, I just die cut the tips with the fishtail end. For the vertical strip i cut them off the front cover of the pad - not waste with any of this paper pad. Ribbon to finish. 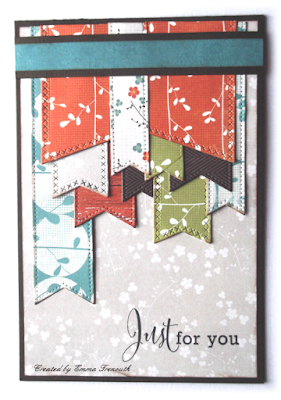 This last card was made for a colour challenge with friends of using apricot, peach, anthracite and ribbon, the papers fitted perfectly instead of the brown card i used a dark pearl grey, i had matching ribbon in my stash and added loops of them along the top and bottom edges of the middle panel. 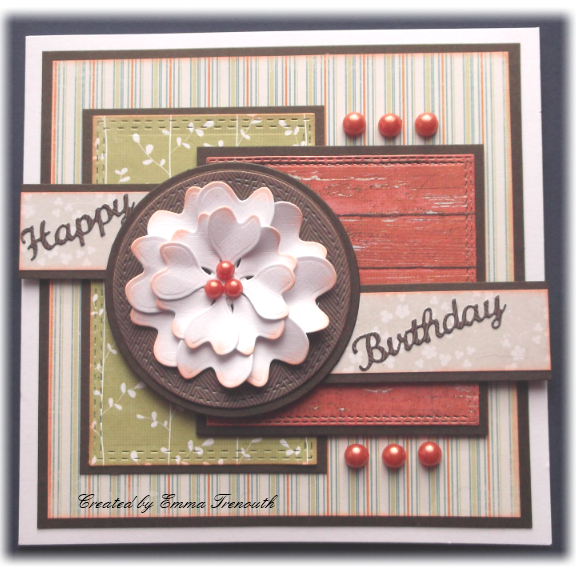 Die cut sentiment and flower. 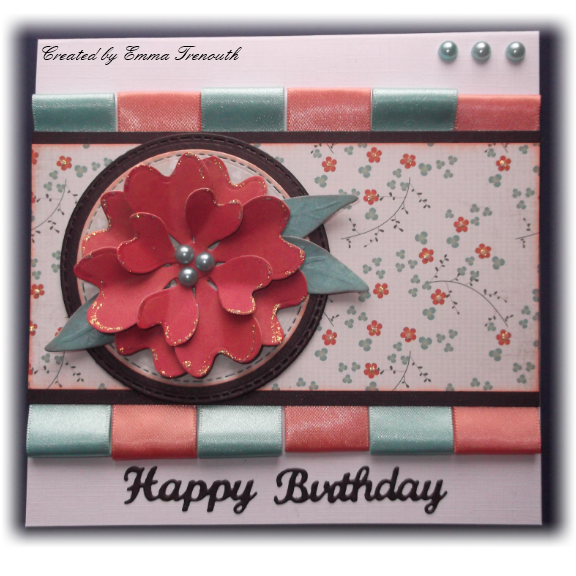 Wow Emma loving all your gorgeous card creations layouts and papers, those little punched flowers are so pretty, love them all..
Wow Emma what a fantastic selection of cards, love the papers. Same pad - all different, and all wonderful. You are one clever lady! Fab little collection, Emma. Like the New Home one! A great set of cards. I love them all! What a fabulous set of cards. 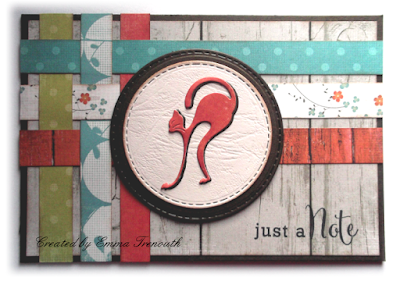 Lovely papers & brilliant layouts - super designs!